The City of Fremont will be hosting a dedication for Solar Farm No. 2, the electric vehicle charging stations and the plug-in hybrid vehicles at 10 a.m. Oct. 1 at Solar Farm No. 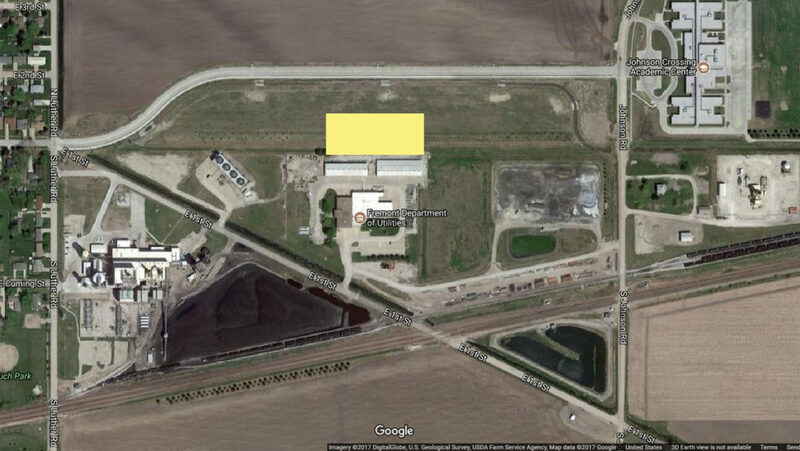 2, located at 3851 East Hills Farm Road (near the intersection of Old Highway 275 and Hills Farm Road). The public is invited. Read more here. 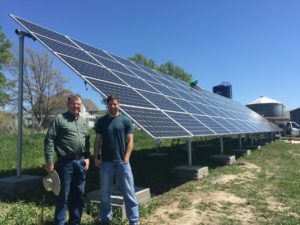 This entry was posted in Community-Scale Solar, Nebraska / Midwest News and tagged City of Fremont, Fremont Tribune, Fremont's second solar farm, Nebraska Community Energy Alliance, Nebraska Environmental Trust on September 22, 2018 by Helen Deffenbacher. The City of Fremont recently completed installation of two ChargePoint electric vehicle (EV) charging stations — located in downtown Fremont, and along the 23rd Street corridor . . . The city purchased the two ChargePoint stations with help from a grant from the Nebraska Environmental Trust through the Nebraska Community Energy Alliance. 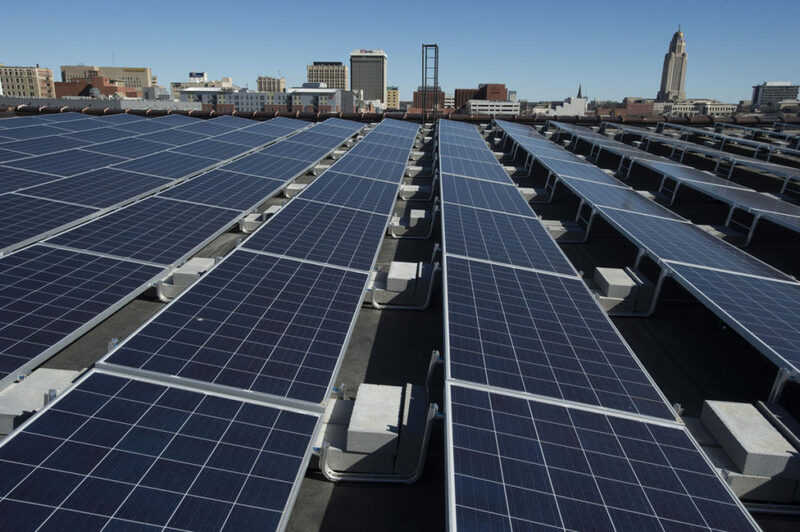 The city received a $300,000 grant toward Solar Farm No. 2, 50 percent of the cost of two ChargePoint public electric vehicle charging stations, and 50 percent of the cost of five plug-in hybrid electric (PHEV) Kia Niro crossover vehicles. Read more here. This entry was posted in Electric Vehicles, Nebraska / Midwest News and tagged City of Fremont, Fremont Tribune, Nebraska Community Energy Alliance, Nebraska Environmental Trust on September 11, 2018 by Helen Deffenbacher. Over the past several years the City of Fremont has made strides toward promoting and developing clean energy in the community. One community solar farm already drawing power from the sun and another currently being developed. 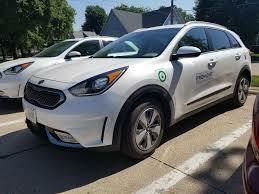 Now, the city recently purchased five plug-in hybrid electric (PHEV) Kia Niro crossover vehicles with help from a grant from the Nebraska Environment Trust through the Nebraska Community Energy Alliance. The city received a $300,000 grant towards Solar Farm No. 2, 50 percent of the cost of two ChargePoint public electric vehicle charging stations, and 50 percent of the cost of five qualified vehicle. Qualified vehicles are those that are all electric, or are PHEV. Continue here. This entry was posted in Electric Vehicles, Nebraska / Midwest News, Research and tagged Fremont Tribune, plug-in hybrid electric vehicles, Smart Cities Dive, U.S. Department of Energy's National Renewable Energy Laboratory (NREL) on July 14, 2018 by Helen Deffenbacher. The city sold out 1 megawatt in five weeks and then decided to expand another .55 megawatts, which sold out in two weeks. 180 residential customers subscribed, along with 20 commercial customers and there are 70 more residential customers on a waiting list for a possible expansion. “We are committed to try to do another megawatt this year, we have 70 names already on the list, and we are hoping to sell it out easily in a few weeks as well,” [said Brian Newton, general manager of the Department of Utilities and interim city administrator]. This entry was posted in Community-Scale Solar, Nebraska / Midwest News and tagged Brian Newton, Colin Larson, Fremont Community Solar, Fremont Department of Utilities, Fremont Tribune on December 26, 2017 by Helen Deffenbacher. First National Bank Fremont is providing financing for the Community Solar Farm, and all shares of the farm have officially been sold, City Administrator Brian Newton said during Tuesday’s meeting. Newton said that he is working on acquiring an additional 1,500 panels because the demand has been so great from [the Fremont Department of Utilities] customers. Ten to 15 people are signing up for slots in the farm daily, he added. “The plan is to take it from around 1 megawatt, which is 3,382 panels, to near 5,000 panels, which is about 1 1/2 megawatts,” he said. “So that is really good news.” Read the entire news story here. 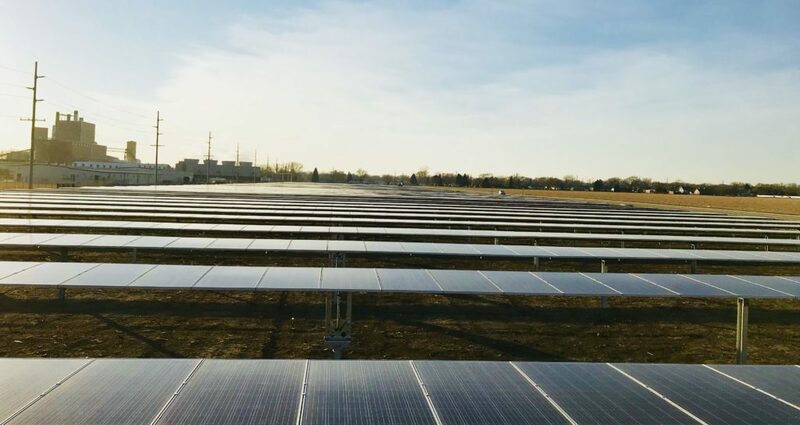 This entry was posted in Community-Scale Solar, Nebraska / Midwest News, NewsBlog and tagged Fremont Tribune, Fremont's solar farm, solar energy development in Nebraska on July 12, 2017 by Helen Deffenbacher. Far from a lab experiment, a symbolic gesture, or a nice idea, the LES solar project is a concrete, innovative, and economically viable pathway for greater energy diversity. Renewable energy sources now constitute about 48 percent of the power purchased by LES customers. 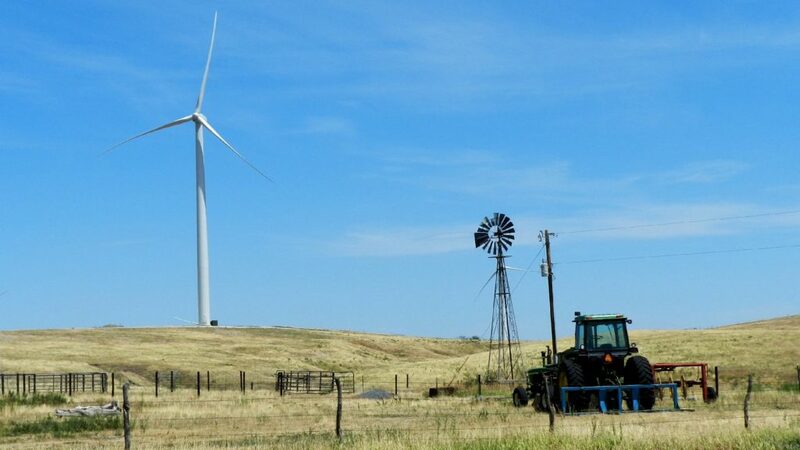 LES, the Omaha Public Power District, and the Nebraska Public Power District have all taken steps, particularly through wind, to take advantage of price competitive renewable sources made possible by technology advancements and certain public policies. 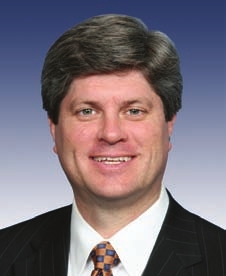 This entry was posted in Nebraska / Midwest News, NewsBlog and tagged Congressman Jeff Fortenberry, Fremont Tribune, Nebraskans for Solar, renewable energy development in Nebraska on September 27, 2016 by Helen Deffenbacher. Part of a national STEM initiative (science, technology, engineering and mathematics), the Solar Car Challenge seeds young minds through education and hands on experience as they embark on a year-long quest to design and build working, road-worthy solar cars capable of traversing the long cross-country trip . . . [The] Fremont Tribune will have a short update in Tuesday’s edition to inform how both teams finished the race. Read the entire story here. 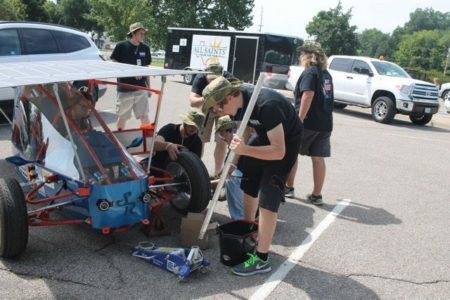 This entry was posted in Nebraska / Midwest News, NewsBlog, Solar Energy Education and tagged 2016 Solar Car Challenge, Fremont Tribune, integrating solar energy into STEM curricula, John Liesveld, Nebraskans for Solar on July 23, 2016 by Helen Deffenbacher. The Solar Car Challenge represents a year-long educational program that promotes STEM-based (science, technology, engineering and mathematics) initiatives by inspiring high school-age students to design, build and evaluate a solar car from the ground up. 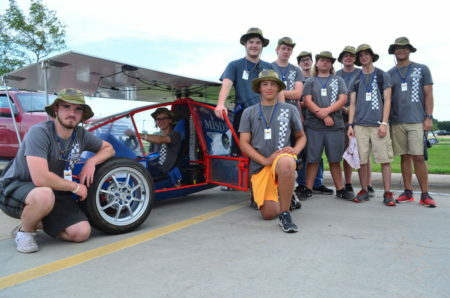 The challenge culminates in a 1,000 mile test run for the participating teams that takes them on a race from Fort Worth to Minneapolis with various overnight stops along the way. One of those stops will be in Fremont at the Walmart Supercenter where the cars will be displayed this evening between 7:00 p.m. and 8:00 p.m. Team members will also be present to answer questions about their cars and the Solar Car Challenge. Read more. This entry was posted in Nebraska / Midwest News, Solar Energy Education and tagged 2016 Solar Car Challenge, Dallas News, Fremont Tribune, integrating solar energy into STEM curricula, John Liesveld, Nebraska Solar Schools, Nebraskans for Solar on July 21, 2016 by Helen Deffenbacher.